Afzeliada hyalina (Distant, 1905), was formerly known as Sadaka hyalina. Yes, its genus has changed (thereby changing its name)! The Sadaka genus still exists, this cicada was just moved out of it, and into the Afzeliada Boulard, 1973 genus. It is found in Sub-Saharan, West Africa. 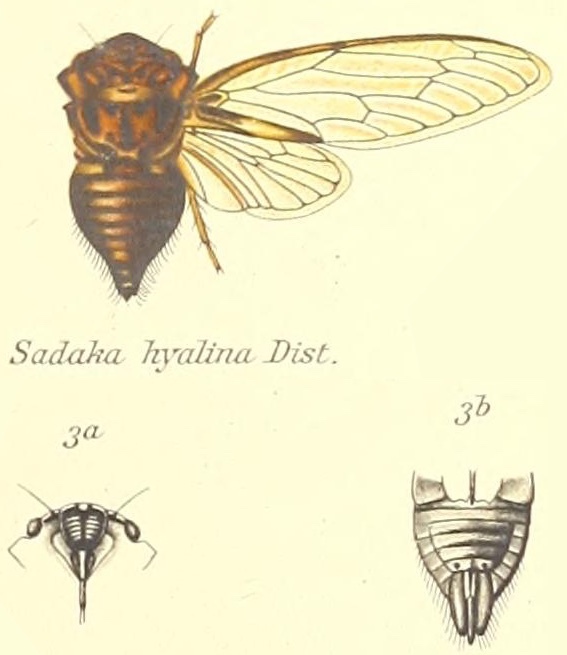 The image says Sadaka hyalina but this cicada’s new name is Afzeliada hyalina. If I find an Afzeliada genus description from Boulard’s 1973 paper, I’ll add it here.